Nearly everyone experiences that awful morning breath before brushing, but what about people who experience chronic bad breath (known as halitosis), even after their oral care routine? Some people find that they have bad breath even shortly after brushing or in the afternoon between meals. Bad breath is not only embarrassing but could point to other problems as well. So why does this happen to some people and not to others? Here are five reasons you may have chronic bad breath! That two-minute brush twice a day might seem easy, but you really should be mindful of how you clean your teeth. If you’re not cleaning your teeth properly, you could be more at risk to suffer from bad breath. This happens because the areas of your mouth that are not getting cleaned retain plaque and food debris that can affect how your breath smells. A checkup with your Asheville dentist can determine how well you’re cleaning your teeth and offer you techniques for how to do better. And don’t forget that flossing helps to clean spaces that brushing can’t reach! Smoking introduces thousands of chemicals into your body and is one of the most preventable factors of getting different kinds of diseases, including gum disease. These poisonous chemicals can stick around in your mouth, making your breath less than pleasant. Smoking can also cause dry mouth, which is another factor in having bad breath. 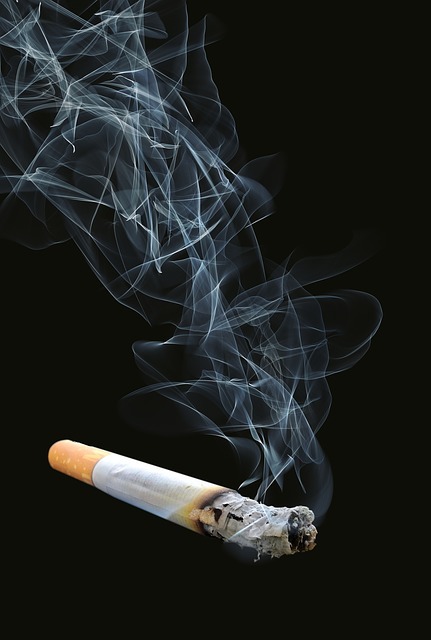 And finally, smoking can be a risk factor for tooth decay or gum disease; both can cause bad breath! Find out more about quitting today. Cavities that’s gone undetected or irritated and inflamed gums that can cause pockets of infection, can contribute to bad breath. The decay in your mouth can make your breath smell bad if it’s not treated, and of course, the longer it goes untreated, the worse your breath can become. Getting regular checkups with your dentist in Asheville can help spot tooth decay or gum disease and treat them before they have a chance to cause you chronic bad breath! Our mouths were meant to be bathed in saliva all the time—saliva protects our teeth and gums and helps to balance good and bad bacteria, not to mention it encourages our mouths to maintain a healthy pH. When you suffer from dry mouth, bad bacteria quickly have a chance to take over in an acidic environment. This can lead to enamel erosion, tooth decay, and you guessed it—bad breath. Some medications are responsible for causing dry mouth, or you may breathe through your mouth too often, such as while sleeping or exercising. Mouth breathing can cause dry mouth! Talk with your doctor if you find that you’re on medications that could be causing dry mouth and consequently, bad breath. Chronic bad breath, like many other health symptoms, is your body’s way of telling you that something is wrong. It’s always best to get checked out by your primary care doctor and dentist if you suffer from chronic bad breath because something else is likely going on. You could have the beginning stages of decay, gastric problems, even an allergy or diabetes. All of these can influence the bacteria balance in your mouth. Gastroesophogeal Reflux Disease (GERD, or acid reflux disease) is another common condition that can cause acids from your stomach to end up in your mouth, causing decay and bad breath. If you’re a sufferer of chronic bad breath, see your dentist. He or she can perform a thorough oral exam and check for decay, oral cancer, gum disease, and enamel erosion. You could have another problem that your chronic bad breath is trying to tell you about! If you find your bad breath doesn’t go away with brushing, make an appointment—your friends, coworkers, and partner will thank you!